This unit covers Native American stories up to 1800. All of our Native American notes and stories can be found by clicking here. This time period is rich in American history. The Powerpoint notes that we had in class can be found here. You can download it by left clicking it and choosing "Save Target As"
If you are really looking for something with a bit more of a kick, try History House's article on the Declaration entitled "Founding Fathers." Normally History House is a great place to find little known history, but you might want to note that this particular article was published on April 1st. 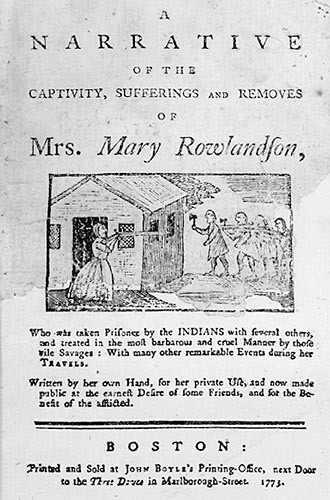 4. she wrote "On Being Brought from Africa to America"
For Jonathan Edwards, remember that he was a preacher and a quote from him will NOT be in poetry verse. Basic overview of the sermon will suffice. Know the parts about God dangling the sinners over hell. He also inspired the Great Awakening. And for the extra credit question, it will be quite simple. What is written on the back of the Declaration of Independence? Washington Irving, The Legend of Sleepy Hollow This is the version I abridged. 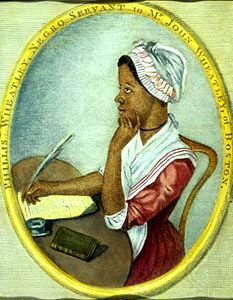 Phillis Wheatley - The front side is for notes covered in class. The back side has the poem with questions. Jonathan Edwards - For this assignment, read the sermon, "Sinners in the Hands of an Angry God" and answer the questions. Pay attention to his persuasiveness. Then find a magazine ad (one htat has a spokesperson in it) and answer the questions for it. Ben Franklin Quotes - If you missed this class assignment, you only need to complete ONE of the pages. Ben Franklin Virtues - This handout has the list of virtues that Fanklin tried to live his life by. On the back is a chart for you to complete one week of a virtuous life. Ben Franklin wrote many things, but he is best known for a sense of humor. He wrote one essay with the quote, "Fart for freedom, fart for liberty, and fart proudly." Mythbusters did a show on Ben Franklin's famous kite flight and pair it up with flatulence myths (because of the "Fart Proudly"). You can see what they found here.